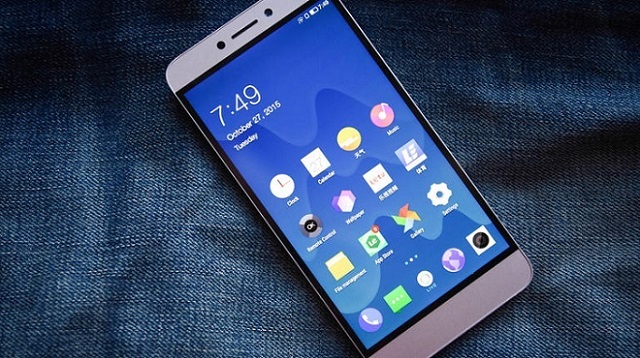 Today, LeEco (formerly LeTV), a Chinese electronics Company sold 95,000 Le 1S Smartphones in 20 seconds in its second flash sale on Indian E-commerce site, Flipkart. The company revealed yesterday that over 9 lakh users registered till yesterday to take part in the second flash sale of Le 1S. The registration numbers continued to grow over 10 lakhs just before the sale. This is highest number of registrations the Flipkart has received so far since its inception. We had earlier reported that 70,000 Le 1S Smartphones were sold in 2 seconds during the first sale in the first week of February. Around 6.05 lakh users had registered to participate in the first sale and this record by Le 1S stands as the second highest number of registrations in Flipkart. So, at present Le 1S holds the first and second positions in the list of most number of registrations a product has received before its sale in Flipkart. For those of you who have missed the first and second sale, a next sale is coming up again on February 16. The registrations for the third sale will begin on February 9, 2016 at 6.00 PM. Therefore, you don’t have to worry if you’ve missed both the sales as the next sale is right around the corner. 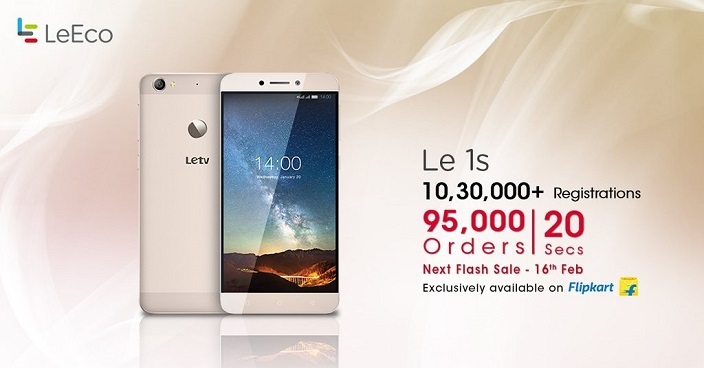 Click on Flipkart page to register the third flash sale of Le 1S on Flipkart. Also Read: 70,000 Le 1S Smartphones sold in 2 seconds in Flipkart in the first sale.